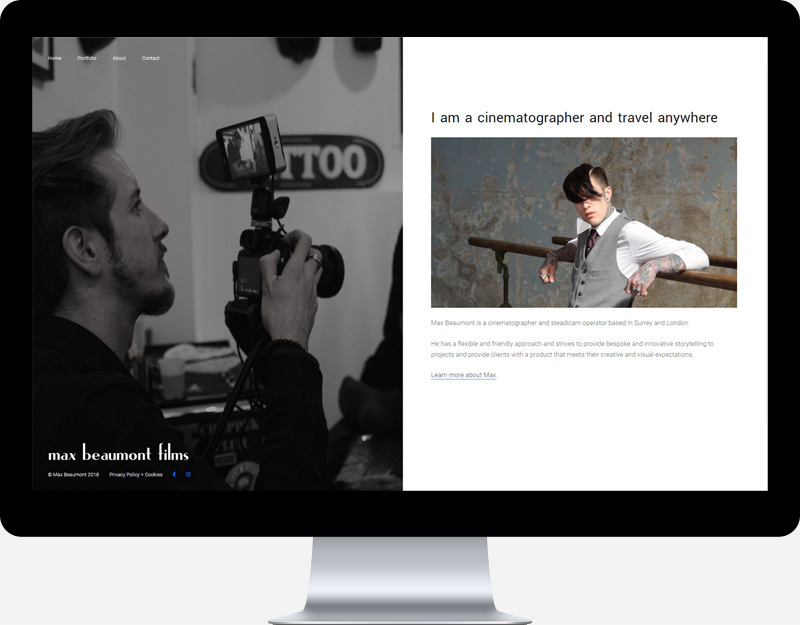 Max Beaumont is a cinematographer and steadicam operator based in Surrey and London. The site is built on the WordPress platform and uses a fullscreen format to focus on images of Max at work. The filterable portfolio allows Max to easily showcase his projects. The contact us page is a great place to place a fullscreen image of Max with contact details superimposed .